A bit like Arnie "I'm Back " with my love for DHC the Japanese brand that brings us not only great skincare but surprisingly great make up, I say surprisingly as I am sure it isn't a brand that you would usually *go to* when thinking of make up, although I do think that once you have tried them they really will make you sit up and take notice, I could be talking totally out of turn here but my opinion of using various DHC products is that you don't need to be a make up artist or even be great at make up to make these products work, the Q10 foundation is amazing. Here we are talking about a new release for DHC, Gel Pencil Eyeliners, I would love to tell you that I am an eyeliner lover, I love the look of it on other people but quite frankly I am so cack handed I cant get that perfect line and flick grrrr, in fairness I do think it is nigh on impossible to achieve on mature ( old) eyes, that said this is where these new liners really do come into their own, if you are a full on liner and flick lady this is a winner, but if like me, you are a liner horror then these gel liners are brilliant they allow you to line but smudge for a much softer look, they are easy to use and totally forgiving. When these arrived, in typical me style I had to do a little scribble on the back of my hand, WELL !!! I did this first thing before jumping in the shower, busy washing my hair, rinsing, conditioning, rinsing I spotted my scribbles were still in place ! It was only when I purposely removed it with shower gel did it budge, pretty impressive huh ? 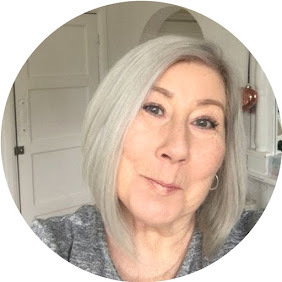 I have fallen in love with the brown liner as for me it is much softer and more suited to my colouring, if you like a bit of drama in your life, then the black is definitely for you. Twist up design saves the horrors of sharpening, who can ever lay their hands easily on a good sharpener ?